To enter to win Premiere Day No. 1 featured products...continue reading! We have a lovely fresh and sweet floral set to follow up on In Bloom: Frenchy's Festive Florals with Angelica Suarez and this lovely set is In Bloom: Carolina's Florals with Angelica Suarez along with its coordinating cutaways! 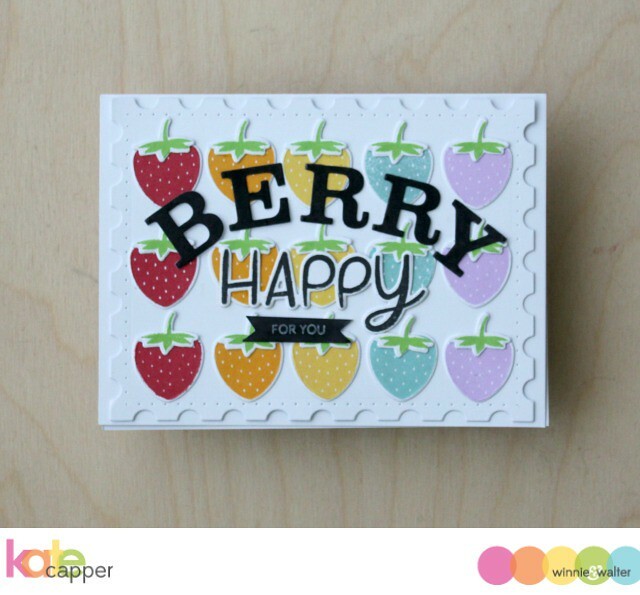 With several flowers, leaves, berries including a delicious multi-step strawberry and a handwritten "happy" and supporting sentiments you will add that perfect joyful note to our projects. 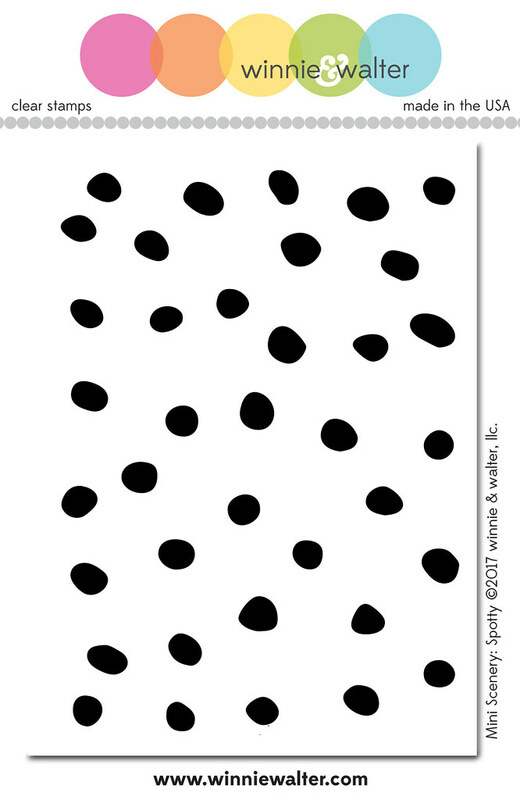 We have a fun new mini scenery sure to be good for any project: Mini Scenery: Spotty! We were in desperate need of some dots and this background is just right. I made a couple of vibrant and simple cards for you today. For the first card I went with my tried and true stamping of a background with the awesome flowers, leaves and berries from In Bloom: Carolina's Florals with Angelica Suarez with Distress Inks and on a plain piece of white cardstock. I really love that there are many solid and outline images to work together. 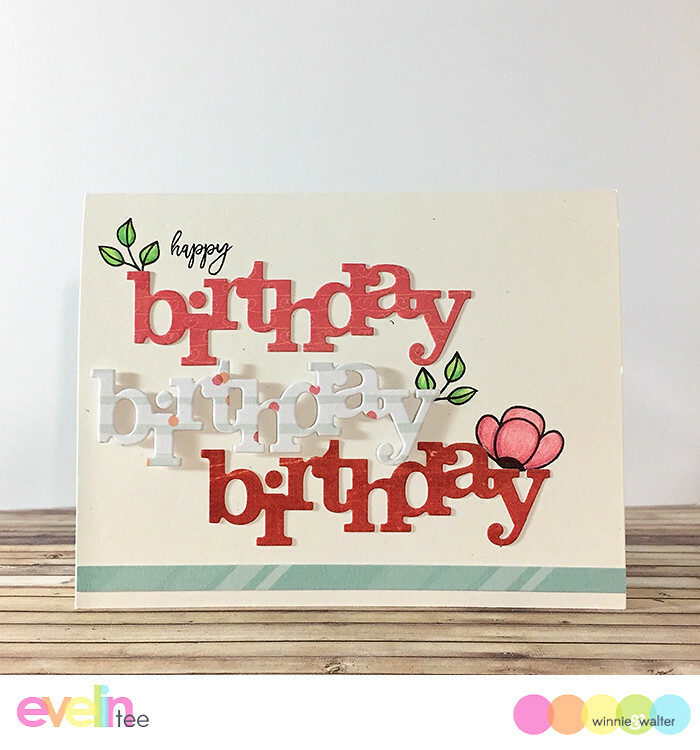 Once I stamped the design I liked I used the largest balloon from the Big Balloon Cutaways (more on this tomorrow!) and cut it out. I also cut it out of blue cardstock. I cut the new In a Word: Birthday Cutaway out of the balloon and then adhered the floral balloon with dimensional adhesive to the blue balloon. 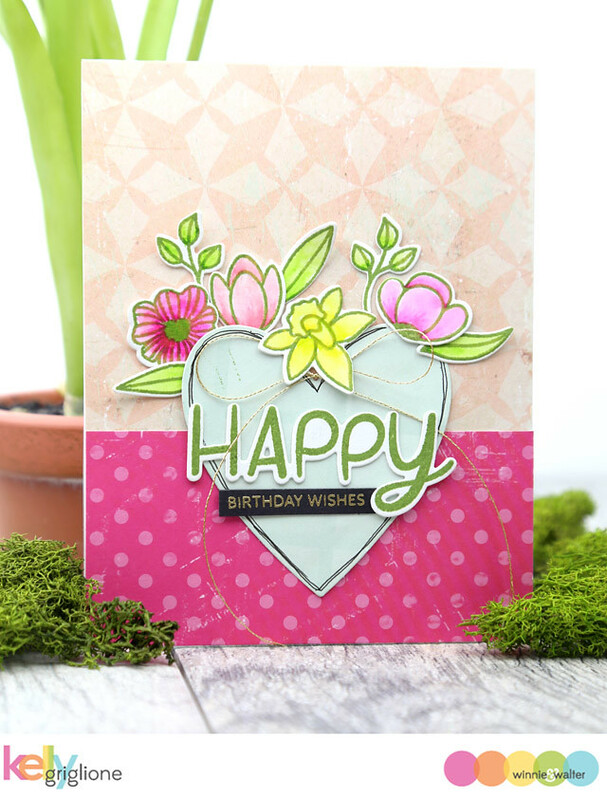 I also stamped "happy" from In Bloom: Carolina's Florals with Angelica Suarez and the cut it out using In Bloom: Carolina's Florals with Angelica Suarez Cutaways and then adhered it to the balloon. I wrapped some twine around the base of the balloon and added the cute little tie also from Big Balloon Cutaways and finished off the card by adding the balloon to an white card base. My cards are a very simple introduction to what can be done...wait until you see the marvels our guests and The Talent have in store for you! Please be sure to click the links to their blogs and leave them some love. 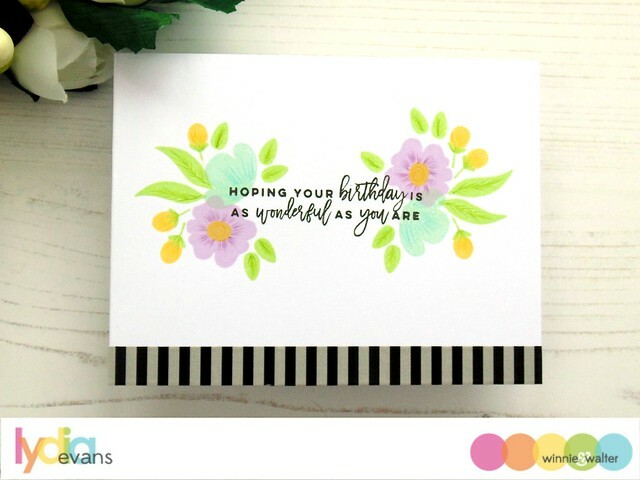 Comment here on this post for a chance to win In Bloom: Carolina's Florals with Angelica Suarez stamp set + Mini Scenery: Spotty stamp set + In Bloom: Carolina's Florals with Angelica Suarez Cutaways + all two (2) In a Word Cutaways of your own by 11:59 p.m. (central standard time) June 30, 2017. One comment will be chosen at random. Just found this site and blog today. So glad I did! I'm almost jumping up and down in my seat, because I am so loving this new release. I was already loving the sneak peek of Carolina's flowers but seeing the full stamp set is even better than I had imagined. Loving everything else as well, including the fabulous creations by all of those talented ladies. I'm also excited to see that Evelin is joining the team! And I think I spot a few other new items, such as a heart die and a new creative screenings?! EEP! What a fantastic release...and it's only day 1! super love everything and such pretty inspiration! FABULOUS! I love all your floral sets and this one is every bit as pretty and fresh as I would expect from W&W! I adore the sweet little layered strawberry. So much fun! Lovely cards by everyone. Congrats to Jessica for her first appearance in her year-long gig!! Yay! Gorgeous work. Looking fwd to seeing all the rest of this new release!! 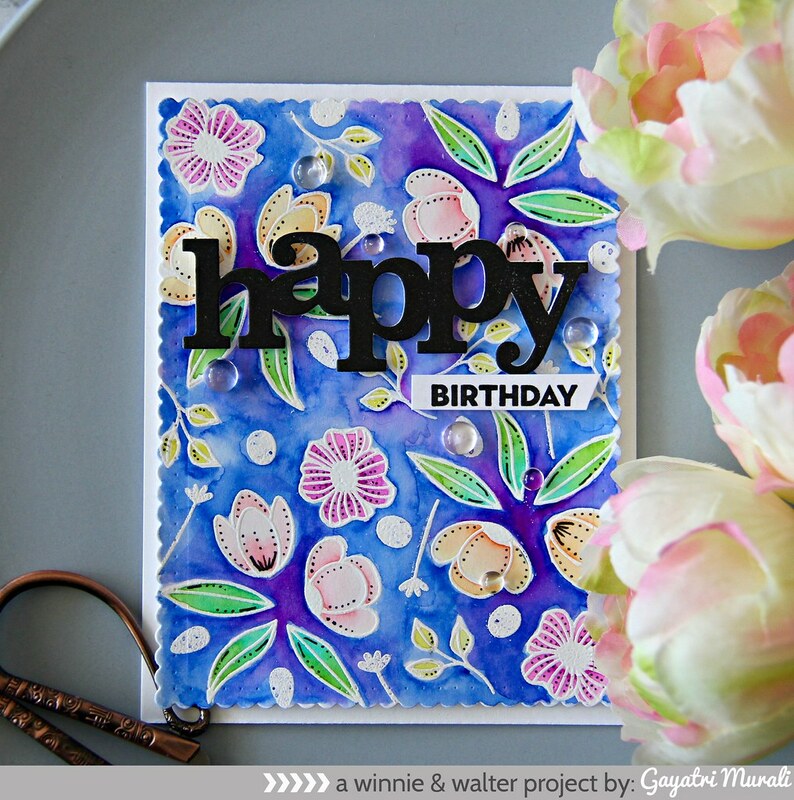 I can't get enough of your beautiful floral stamps and 'In a Word Cutaways'. I'm loving the spotty background stamp! The florals are so pretty too! Your samples are gorgeous Shay! Love Love Lvoe that big Birthday die! Wow, I love those blooms and the dotty background is super fabulous. just beautiful! 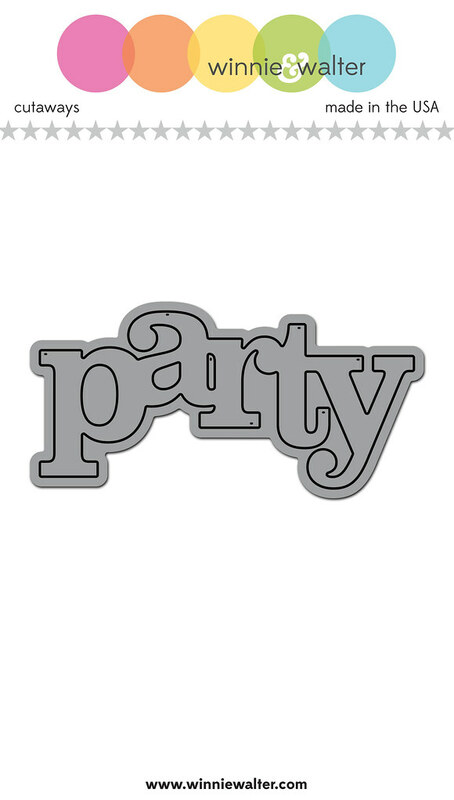 Love the birthday party dies!! The dotty background is the best! I love all the inspiration too! What a cool dotty background. Love the different projects...so fun. Love!! Such a beautiful day 1. I really love that spotty background stamp!! I'm very excited about this release, Shay! All your designers have just wowed me with their cards ... you know I won't miss out on those new In a Words! At least I hope not - I'll be on the road! Great release. Love the fabulous inspiration. Fantastic release and wow what a giveaway. Thanks for the ideas and the chance to win. Fantastic cards. Love the cutaways word dies as always. Wow! Such fun and creative cards! Love the birthday die! What wonderful Talent! Love love the new flowers and that polka dot stamp. Squeel! Wow! What beautiful products and amazing artists. Thanks for all the inspiration and for the chance to win! I love the Carolinas Blooms set; great illustrations. The cards are all beautiful. Thanks for all the inspiration. Love todays premiere. I think those big funky polka dots are so much fun. 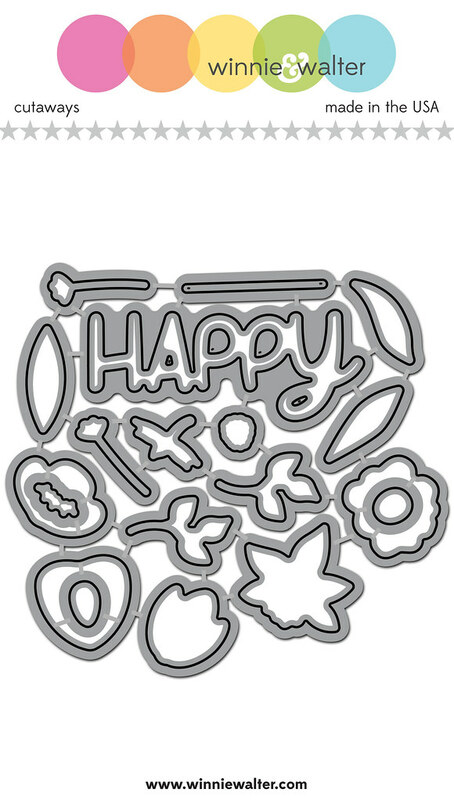 Very festive cards for happy occasions with these new stamps and dies. Wow they all are very sweet and beautiful. 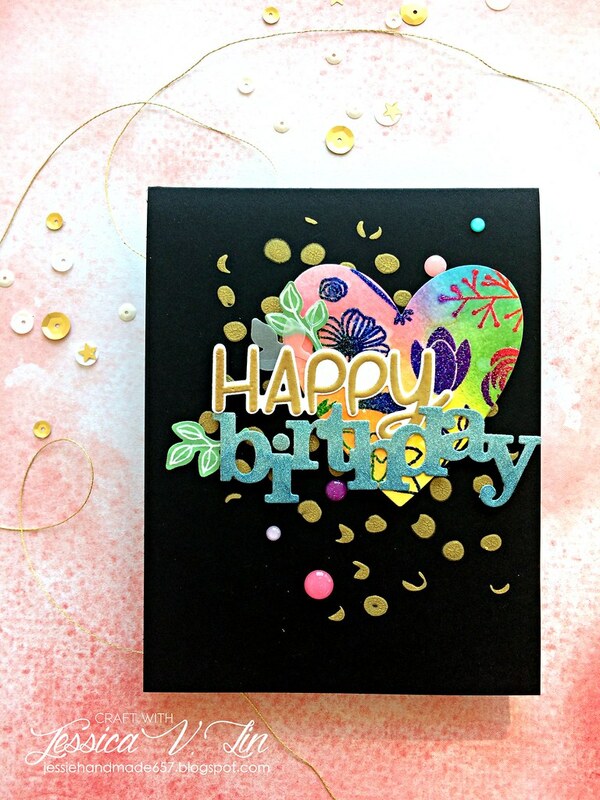 Love each card with unique design using the new stamp sets and dies. Thank You for the inspirations. Oh my! I see some goodies that 'need' to come live at my place! The birthday set...swoon! What a great release! I'm really excited about the florals and the nice chunky script word dies. I love your products! Oh my goodness--I so love this new release! I already have & love Frenchy's Festive Florals & would so love to win the new set--as well as everything else! Such gorgeous projects--my head is swimming in inspiration! Fun releases! The flowers are so pretty and I always love adding to my die collection. These stamps are so creative and versatile. Love the sentiments. So cute! I love the inspiration! Love what I see so far. Always looking for unique dies and stamps. Thanks for the inspiration. Everything is so cute! 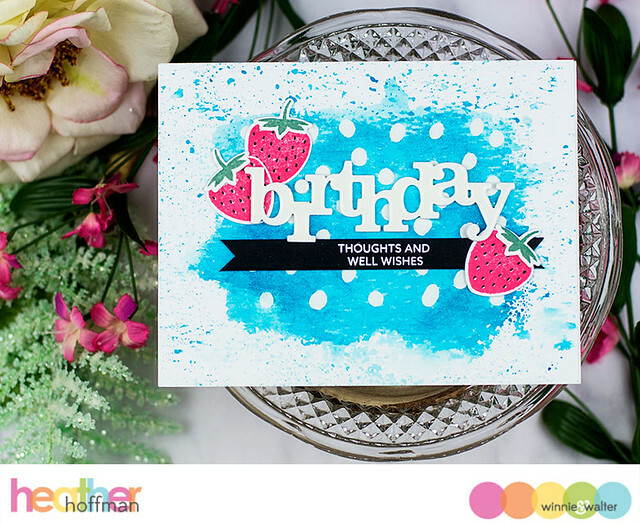 Love the polka dot background - it's so whimsical and FUN! Perfect for a summer release!! Super cute flowers and loving the polka dots! Exciting!!! The uneven dots are just so cute, love the awesome work by the team! So far, so GREAT with this release. I want every Big Word. I just love them! Such gorgeous stamps and dies! I love the dotted background stamp! Awesome work that makes sense and pretty good looking as well as creative. Thanks for sharing update. I just love that dotty background and the new word dies! Yay! More In a Word Cutaways, more beautiful florals and love the dotty background! All the cards were awesome! 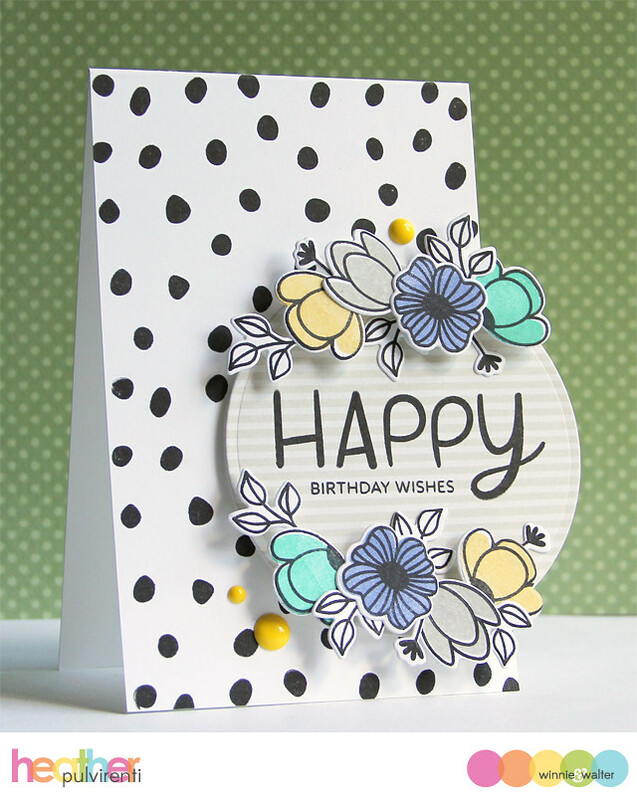 I love the spotty background and new flowe r set. 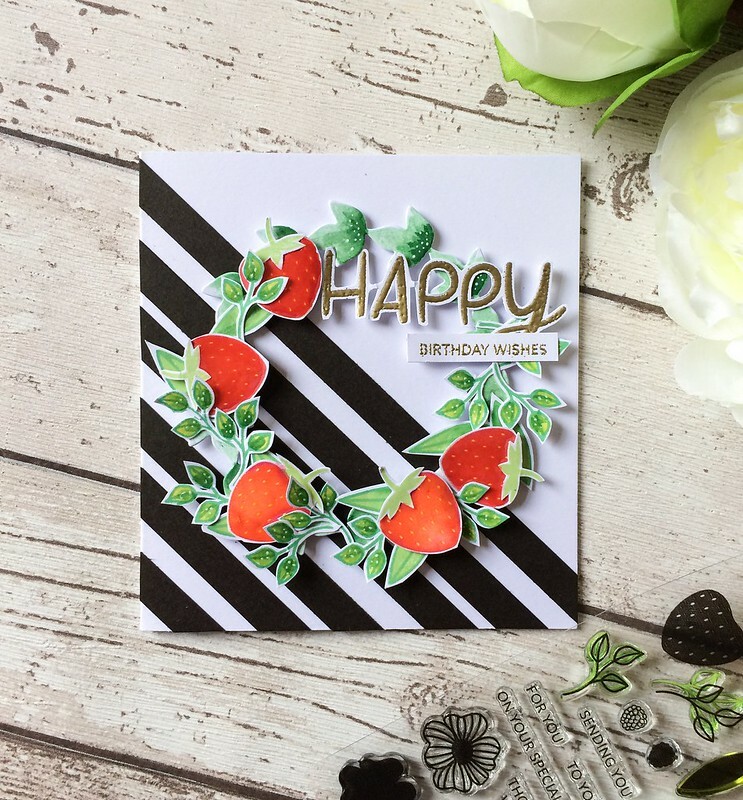 I love layered stamps and was really pumped to see you had a layered strawberry!! This release is great!! I LOVE LOVE LOVE the spotty background ad the sentiments! They look like standard MUST HAVES!!! Whee!! Flowers and strawberries are so fun, and perfect for summer. I also love anything birthday related, so the Cutaway dies are a must-have. The design team hit it out of the park with these gorgeous cards. Fabulous new release. Really love the dots and berries. OMGEE I'm in love with this new release! Especially love the berries! Wow these samples are awesome. The black stripes and polka dots really make an impact!!!! I love the Spotty Scenery, and that Carolina's Florals includes a strawberry! 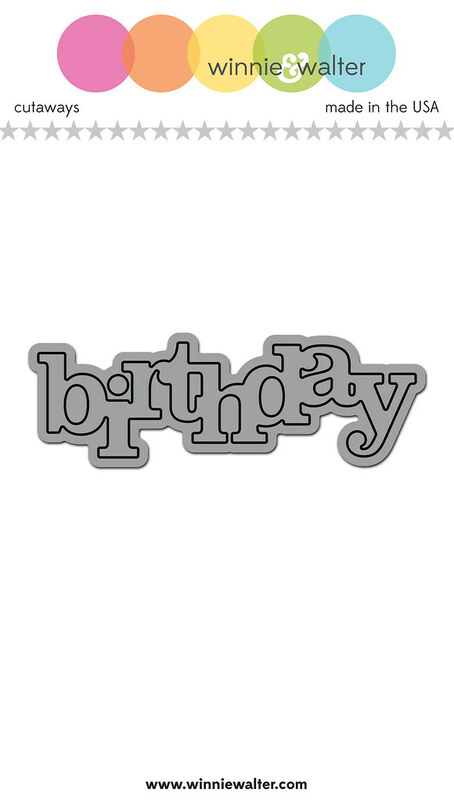 Everything is so fun but I really love all the birthday stamps and dies. 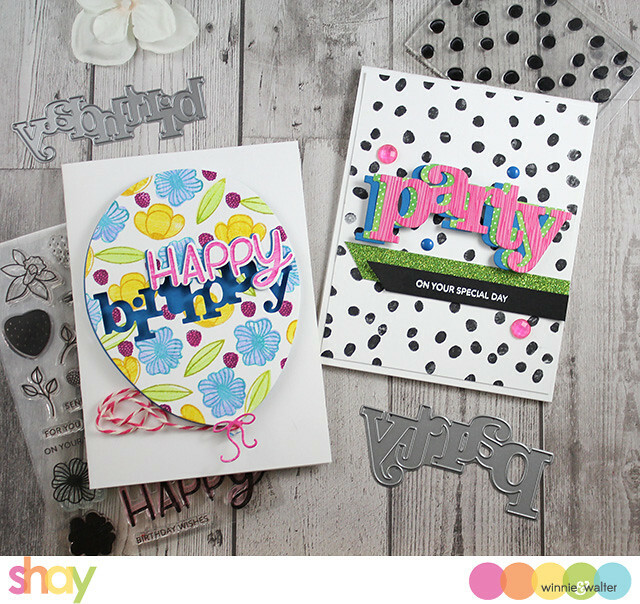 Those balloon dies would get a real work out in my house and I am in awe of the DT cards! Just wow! Such fab release! Love the blooms and nini dotties, the big words are so adorable! Love all the beautiful creations! Great release. I especially love the strawberries. So pretty, I love the decorated balloon card. All of the cards are so pretty! Stamps and dies are awesome! Beautiful floral stamps!! I love the whimsical nature of them. And the design team has put together some amazing creations. I just love all of these bright and cheerful designs! Those tiny berries look delicious! So many amazing possibilities with these sets!! Love!! wowie! awesome to see a birthday cutaway die :) also, the floral set is so pretty! Beautiful cards by the dt. Thanks a lot for the wonderful inspiration. Wonderful new products!!! The inspiration cards are fabulous! Great first day of the release1!!! Those Happy Blooms are the berries! LOVE the gorgeous projects!! 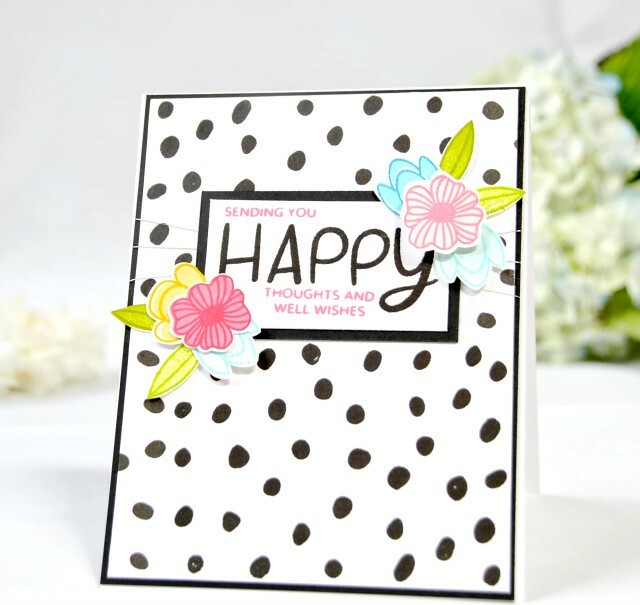 Loving the floral stamp and the spotty scenery is a MUST!! Wow! Thanks for so much amazing inspiration! I'm really loving what I've seen so far in this release. 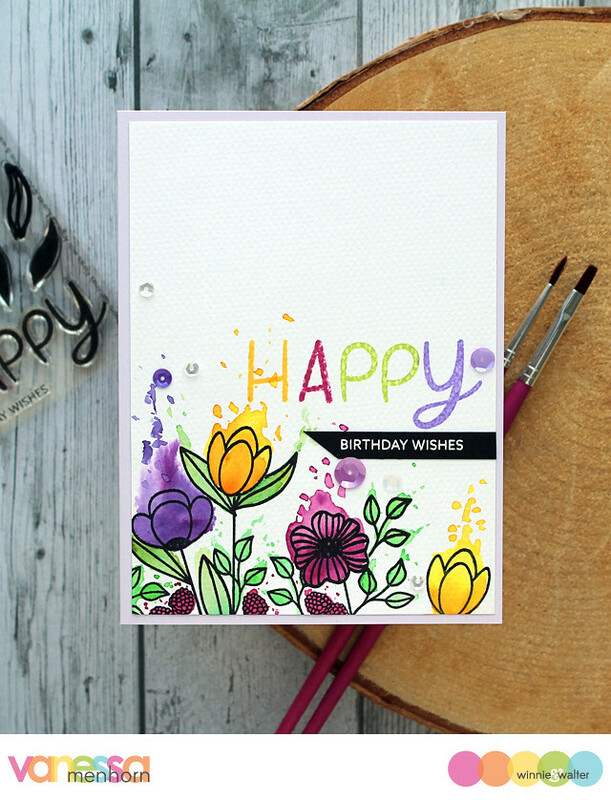 Carolina's Florals is gorgeous & I can't wait to get my hands on the new In a Word Cutaways. I just can't get enough of flowers and this one is so irresistible. Love this floral set so much, especially the strawberry images. And the spotty background stamp is so cool!! Oh my!!! love so much all these beautiful sets!!! Cards are really stunning!!! 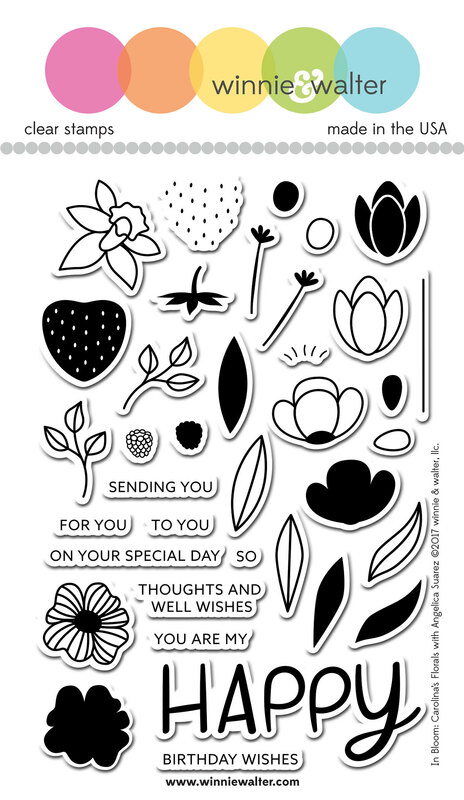 Lovely floral stamps! Really pretty! Thanks for the inspiration and for the opportunity to win! 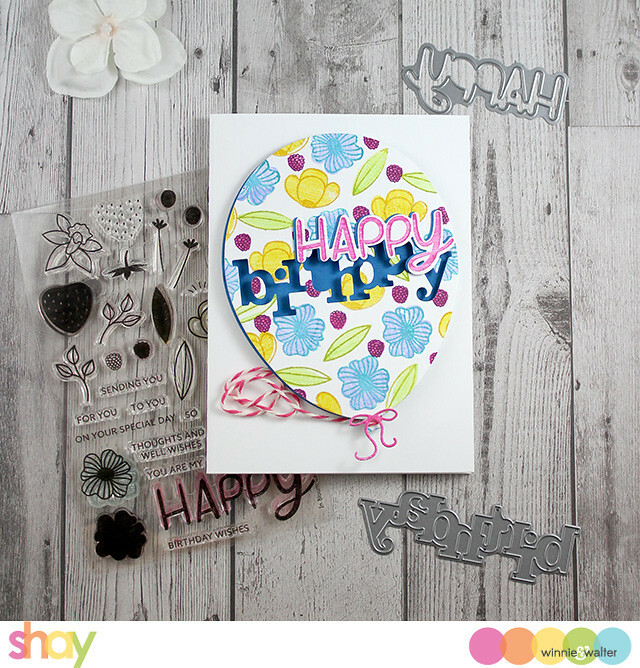 Gorgeous flower stamp set and the dies are a must have! Beautiful cards from the team..I just love the big word cutaways. Wonderful release..